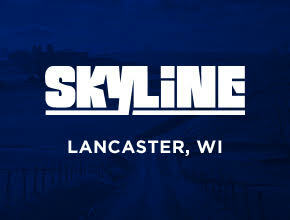 Are you thinking about buying a new manufactured home, modular home, or prefabricated home in the state of Wisconsin? Known as the Badger State, Wisconsin borders Michigan, Iowa, and Minnesota. Wisconsin is located in the northern part of the United States and has a mostly continental with cold and snowy winters. Wisconsin manufactured homes are engineered specifically for the unique characteristics of the climate, with a focus on energy efficiency and minimal long-term maintenance. With a current population of just over 5.7 million, the average sales price of a home in Wisconsin is $205,000; in comparison, the cost of a modular home in Wisconsin is approximately $50 to $70 per square foot. Therefore, the average price for a modular home in Wisconsin would be $108,000, making the purchase of a manufactured home a fiscally responsible option for Wisconsin’s would-be home buyers. Although, these prices may vary in metropolitan areas such as Milwaukee, Green Bay, and Madison, where the cost of land and site improvements are typically higher. When it comes to helping you build your new custom manufactured or modular home, We have the experience and knowledge to deliver. As the leading online directory of new prefab homes, we are confident that we have a floor plan that is perfect for you and your family. Browse thousands of new floor plans by style, size, or features, and when you find the home you love, simply request a price quote. In no time, the manufactured home retailer nearest to you will get in touch to help you turn your simple floor plan into a fully custom home that has all the features and amenities you want. Any style of home is possible - whether it be a lakeside cabin on Lake Winnebago, a fishing lodge at Copper Harbor on Lake Superior, or a traditional home anywhere in Wisconsin, we can help you design and build your custom manufactured home.